#1: People having premium mobile handsets spend more time on their phone. Although the percentage of time spent on various activities remain the same for users of all three types of handsets, people having premium phones spend more time on their mobile- 2 hours 17 minutes per day in entry-level sets and 3 hours 17 minutes per day in premium handsets. Whereas the percentage of men owning premium handsets is much lesser. #3: Entry level handsets are mostly owned by students while premium handsets are owned by working professionals of age 25 and higher. 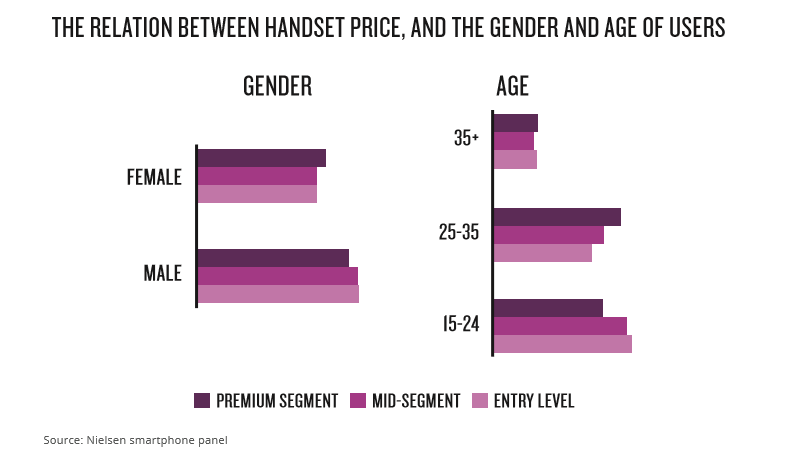 About 60% of premium handset users are above 25 years of age. 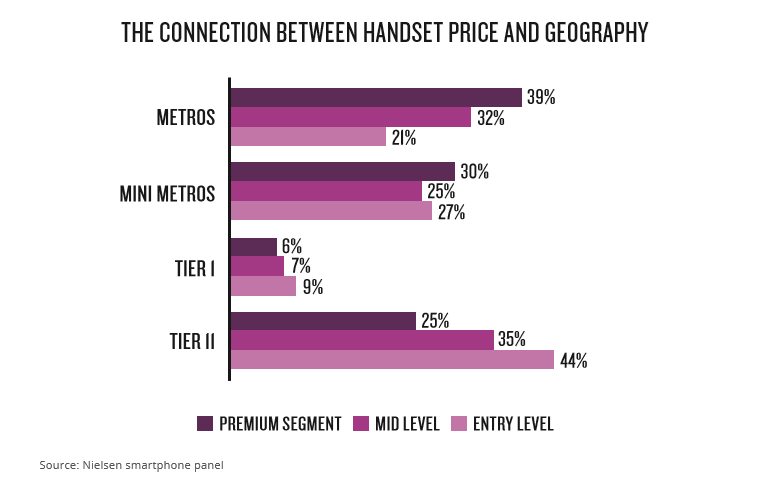 #4: Majority of premium handset owners reside in metros. #5: Premium handset owners are more active and connected socially while entry-level handset users are more inclined towards information and entertainment. 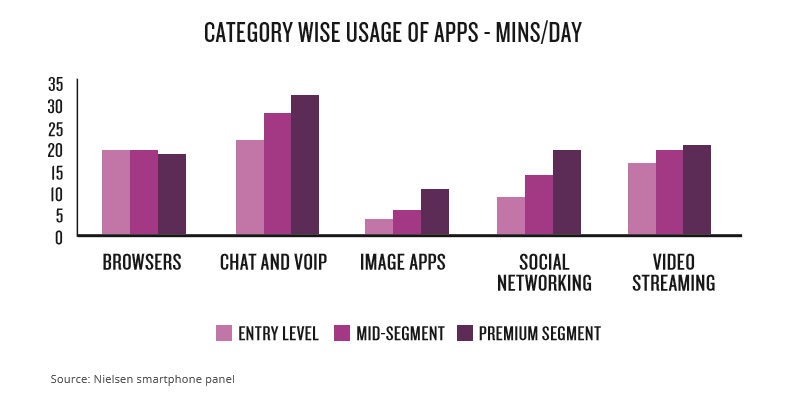 Premium handset owners use chat, image, and social networking apps more. Entry-level handset users use chats, browsers, and video streaming apps the most. India is riding on a wave of high demand for smartphones. Currently, there are about 340 million smartphone users in India and by the end of 2019, it is expected to reach 442 million by 2022. Availability of high-speed 4G Internet has only increased the hunger for smartphones, which are being fulfilled by several companies offering handsets for as low as INR 5000. However, if we look at the average price of handsets purchased in India, we can see it increasing with years. This shows the evolution of mobile users from entry-level mobile sets to premium mobile sets. Would you like to know more about mobile device targeting? You can write to us at Help@TheMediaAnt.com.